MongoDB is a open-source scalable, high-performance NoSQL database. It is a document-oriented Storage. It can store JSON-style documents with dynamic schemas. 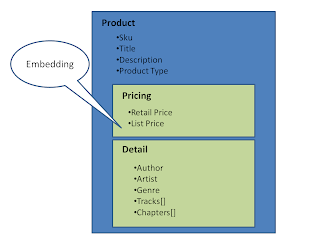 In this application, each product is stored as JSON-style document in MongoDB. Each product in the catalog contains general product information (e.g. sku, title, and product type), price details (e.g. retail and list price) and product sub-details (e.g. tracks of audio CDs / chapters of books).